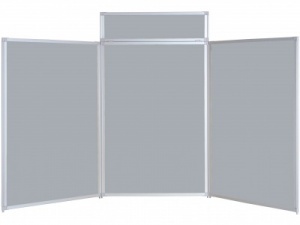 Aluminium framed tabletop display system for extra durability. 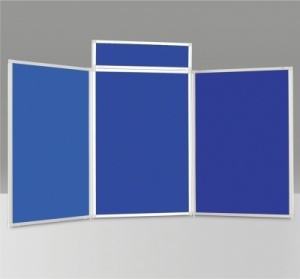 Robust aluminium panels; with interlocking gear hinge mechanism creates a very professional display system. 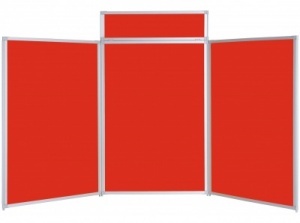 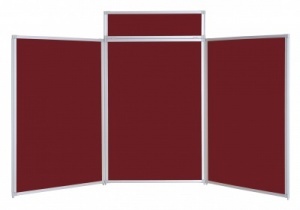 The double sided panels are available in a choice of 14 loop nylon colour finishes. 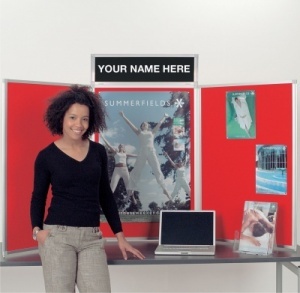 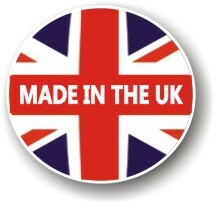 Supplied with header panel which has loop nylon fabric on one side and black on the reverse for optional personalising. Comes complete wit storage bag with handles and shoulder strap.